Inspired by Marty McFly's 2015 wardrobe. 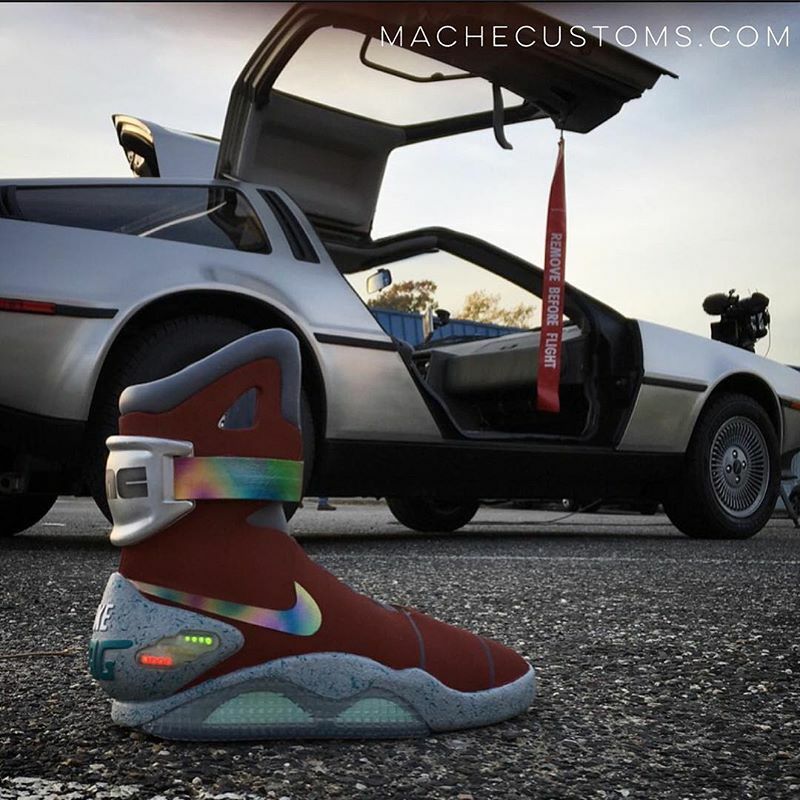 Mache is known for being part of some of the biggest moments for sneaker customizers, so it's not surprising to see him make a little news on this long-awaited Back to the Future Day. His latest project involves one of the NBA's fastest rising stars — New Orleans Pelicans big man Anthony Davis. In fact, Davis placed a rare order for custom Nike Mags, which gave Mache the opportunity to do something special on this once in a lifetime occasion. Inspired by Marty McFly's 2015 makeover, Mache gave the futuristic high-top a burgundy and grey upper to represent his jacket and lenticular details to match his hat. The midsole was left as is to keep some of the original Mag flavor, while DeLorean branding was added to the back tab. Take another look at Davis' custom "Marty McFly" Mag in the video below.